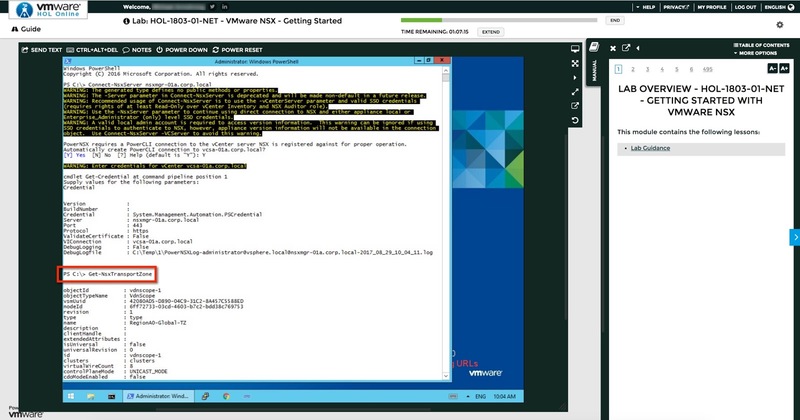 Anthony Burke (Blog | Twitter) reached out asking if it was possible to have PowerNSX installed in these labs. So, although we don't take advantage of PowerNSX in these labs, it is installed in the labs listed above. If your at VMworld Europe then you can have a play otherwise you will have to wait until they are released publicly.